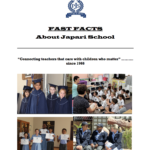 The Friends of Japari School was formed in 2004 to enable all those who constitute the Japari community to retain, lifelong, their links with the school. This community includes not only those who have been learners at Japari down the years but also their parents, the academic and service staff members, members of the Board of Governors and any others who have shown interest in or have in a variety of ways been of value to the school. Many of these have in the past lost contact with the school once their children have moved on or they themselves have resigned or retired. It is intended that the Friends of Japari Society should enable those links to be kept and that the interest, goodwill, services and potential usefulness of many people will continue to benefit the school. The Society has been formed by and is run under the auspices of the governing body and through the principal. A senior member of staff has been deputed to administer the Society. Membership is automatic for all former pupils, past and present staff members at every level, current and past board members, current and former parents, as well as anyone who considers himself/herself a friend of the school. As far as possible a complete list of those not on current school lists is being compiled and will be kept up to date. It is hoped that in due course members will receive Japari newsletters and other circularised material unless they request otherwise. The annual magazine will be sent (at a charge) only in response to a request. It is planned that members be notified of and invited to such Japari occasions during the year at which the school feels able to accommodate them. There are no annual general meetings, no committee apparatus, and no subscriptions. Expenses are minimal and are borne by the school. It is important to stress that the Society is not, nor should be seen to be, a fund-raising enterprise. It is nevertheless true that raising awareness of and interest in Japari will have advantages of all kinds: recruiting, maintaining key contacts, and certainly financial support. These however, last remain as fringe benefits. We would very much like to hear from our alumni. Please fill in the form below and click submit to send us your contact details. Please urge any of your family and friends who are part of the wider Japari community as outlined on the left to do the same.